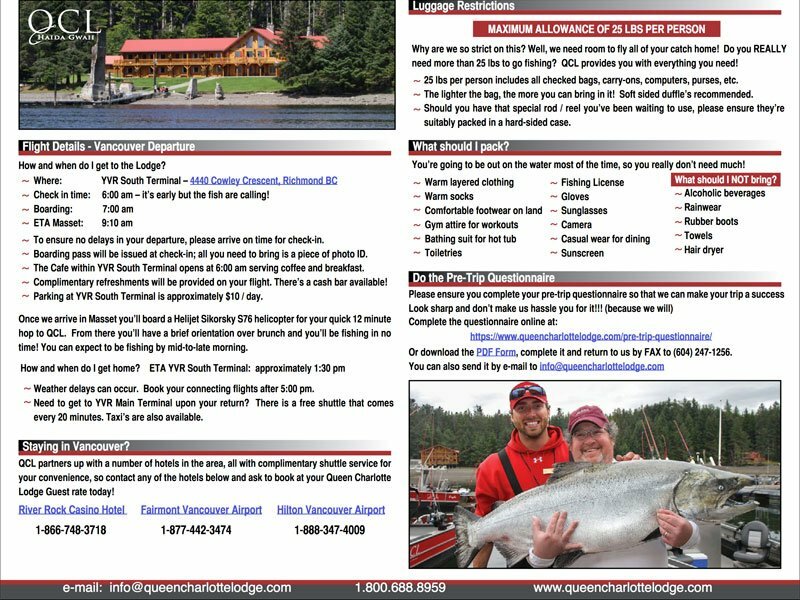 Helping you to plan your visit is an important step in ensuring that your trip to QCL in Haida Gwaii is everything you hope it will be. As we move into our 26th season, Queen Charlotte Lodge continues to develop and improve our program to meet a growing demand for quality wilderness adventure experience. 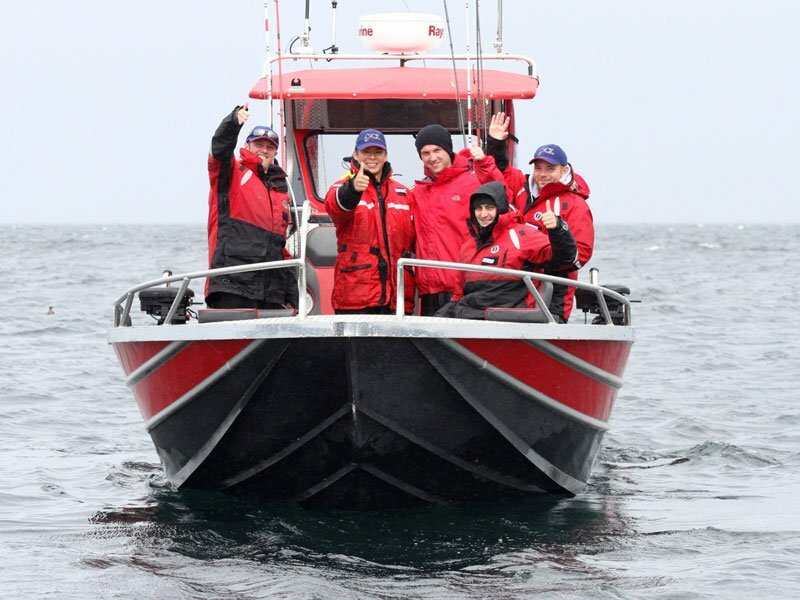 Our team of adventure specialists are always available to answer questions, make recommendations and provide updates on what’s happening at the lodge. Queen Charlotte Lodge is heaven on earth. I’ve been fortunate enough to visit QCL on more than one occasion, and they never cease to amaze. Anticipating guest’s needs and fulfilling them seems to be seamlessly engrained in all staff, without fail. Our resort staff and management believe that guests deserve luxurious accommodations, exciting fishing, fine food and wines, and relaxing activities with friends. A fishing adventure holiday to QCL is an awesome experience and we are more than happy to help plan your visit. With a choice of 6 different accommodation venues, 3 different boat options plus guided or self-guided fishing, we’re sure to meet your needs. Operating through the summer months from May to September, the Lodge makes the most of the long northern days. Fishing days begin at sun up for the most enthusiastic while those with a more relaxed approach to the sport can enjoy a leisurely breakfast and a café latte after a good night’s sleep. 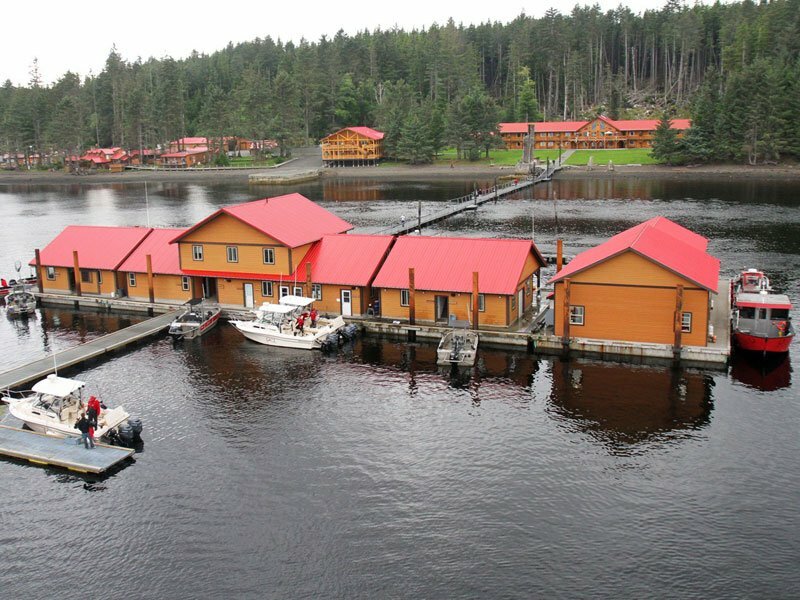 Our charter flights depart from Vancouver’s South Terminal Airport every Monday and Friday morning, providing a choice of 3, 4 or 7 night stays at the Lodge. Special arrangements can be made for private aircraft and alternate travel. Plan your visit to QCL today and count on an experience you’ll want to re-live again and again! 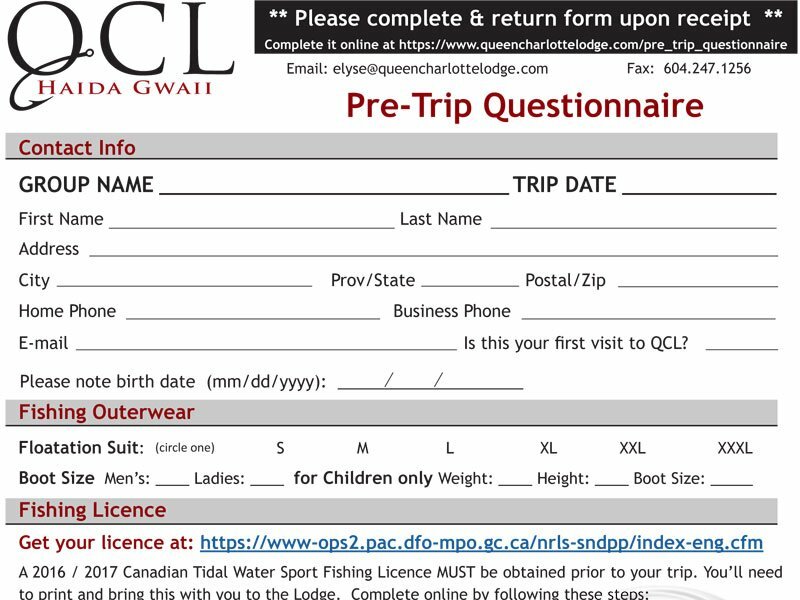 Tell us how we can help you plan your fishing trip to QCL! Not sure where we’re located? 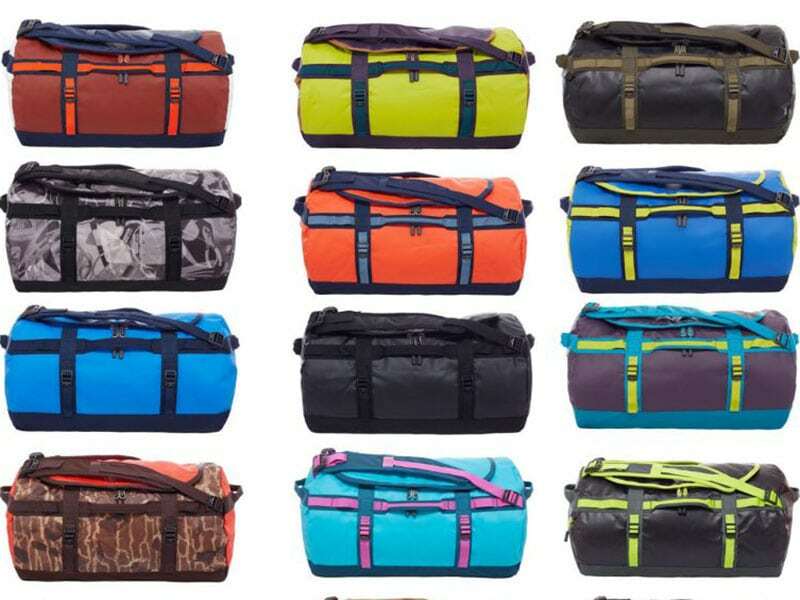 Find out the particulars here. Plan your upcoming visit here – find out everything you need to know. Learn more about your trip and what to expect before getting on property. 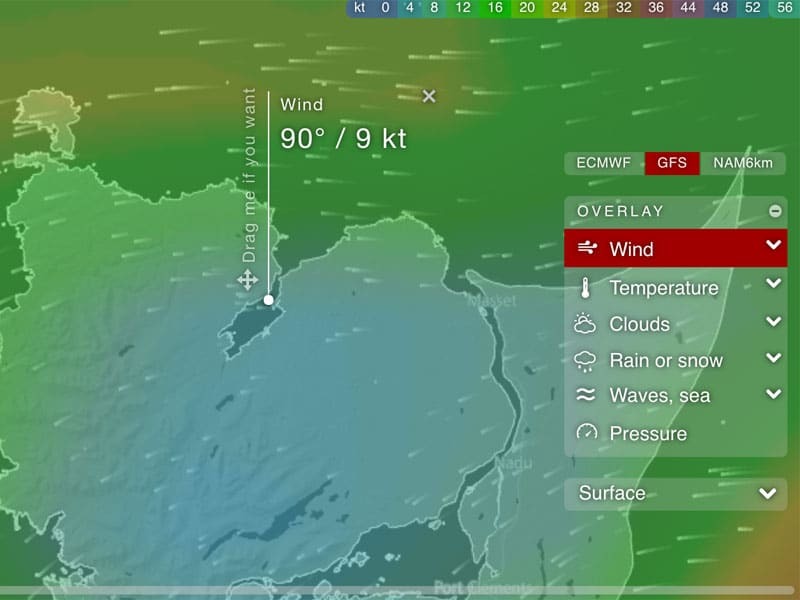 Click here to find out real-time conditions at the Lodge. 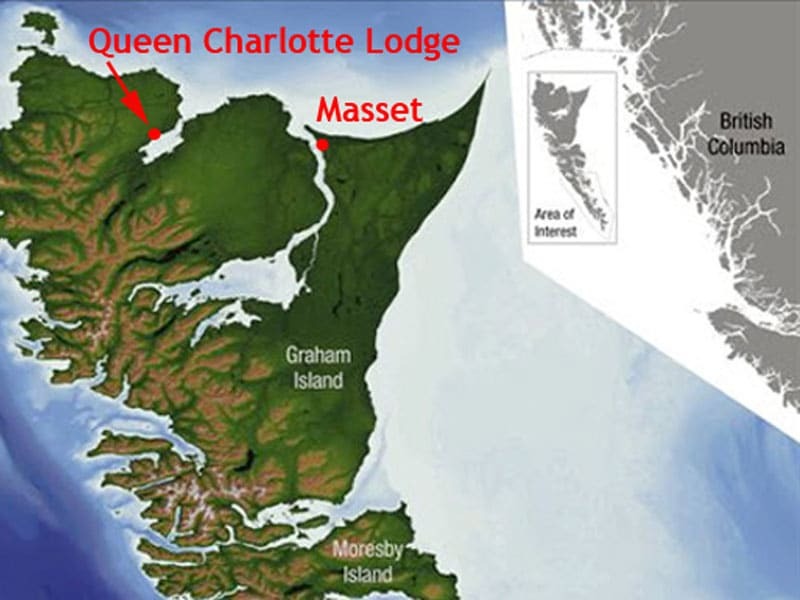 Find published articles about Queen Charlotte Lodge and the QCL experience. Find some of our top recommendations for your trip to QCL. If you want a great fishing adventure and vacation, this is the place for you! I can’t say enough about the organization and planning that goes into making each person’s stay special. Anything you need is taken care of. The staff are friendly and seem to truly care that you are well cared for. The food they provide is the quality you would find in an upscale restaurant, and there is plenty of it. Our fishing guide Luke was so helpful and fun. He made it easy for me, a novice fisherman, to be successful and feel that I could do anything. I would highly recommend this resort to others, and can’t wait to go back myself!